Planning events is always chaotic. Have you ever planned a birthday party for your kids? Try planning a party for 5,000 people. Today, event and trade show designers have more pressure than ever to create a fully branded experience. 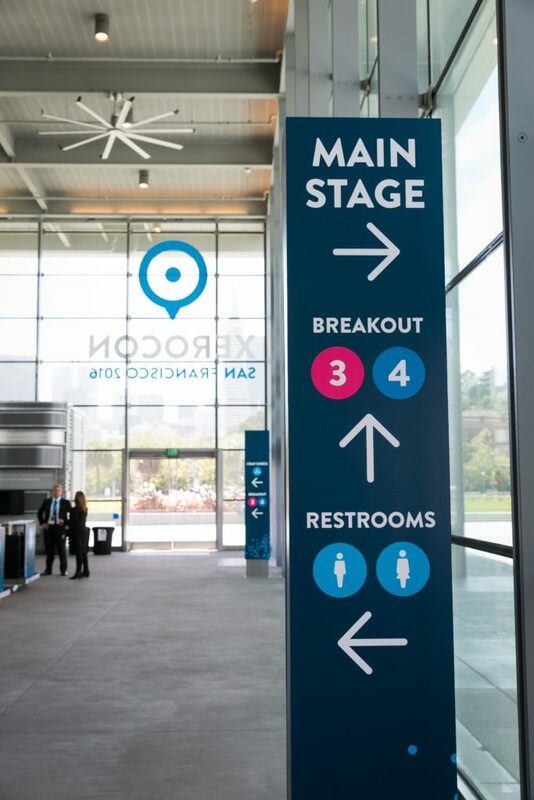 Luckily, signage is a great tool that can improve your event’s logistics and aesthetics. In this article, we will cover the essentials of event signage. What Exactly is Event Signage? 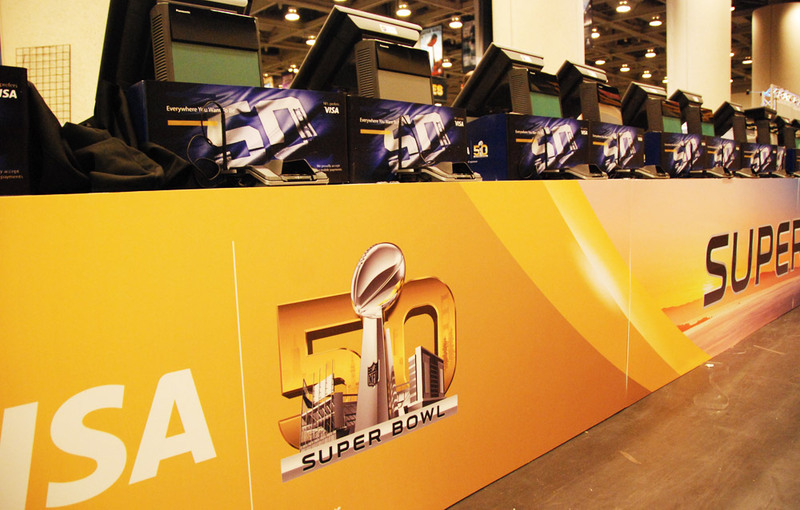 Event signs are any physical or digital media (screens) that appear in your event space. 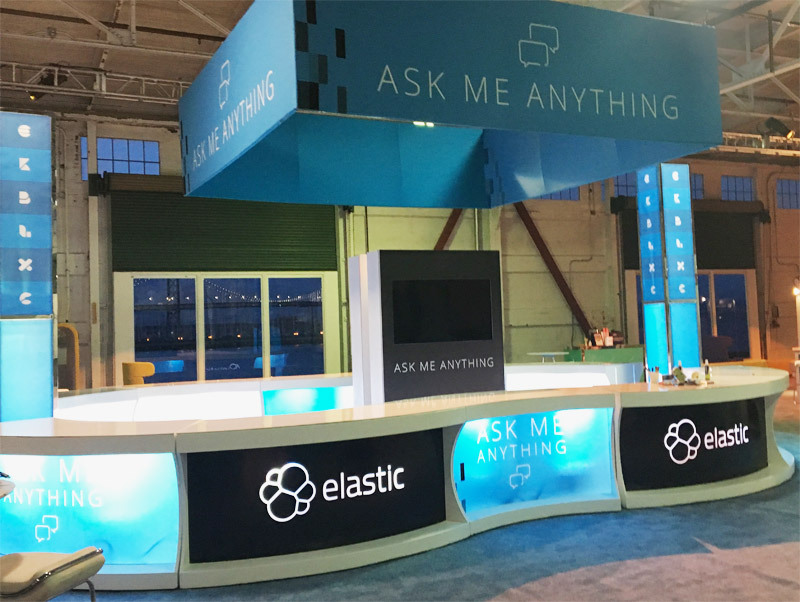 Not only can they help attendees understand where important parts of your event are, but it can also serve as brand contact points. Let’s take a walk in the shoes of an attendee who’s going to a fictional trade show. You’re walking towards the building hosting “Evento Con”. Outside you see two large green banners that showcase the guest speakers and a vinyl banner at the top that reads “Evento Con”. When you walk inside you see a row of welcome podiums with beautifully backlit logos on the front and kiosks behind them. A large wall that rises above the kiosks reads “Evento Con: The King of All Events” with a picture of a scenic castle on each side. Because the lecture you came to see is about to begin in 10 minutes, you scramble to find a good seat. Standing on its own, you see a green sign that says “Main Stage” with a doorway next to it. In the main stage room, there is a large green background with boards that seem to be levitating against it. The boards have slogans written on them in a familiar font. The lights dim, and a man in a suit walks up to a tall podium and begins to speak. Although signage can go unnoticed, people do notice when it isn’t there because it leaves an area bare. Signs not only make a better experience for your audience, they can be a tool for making a great first and lasting impression of your company. 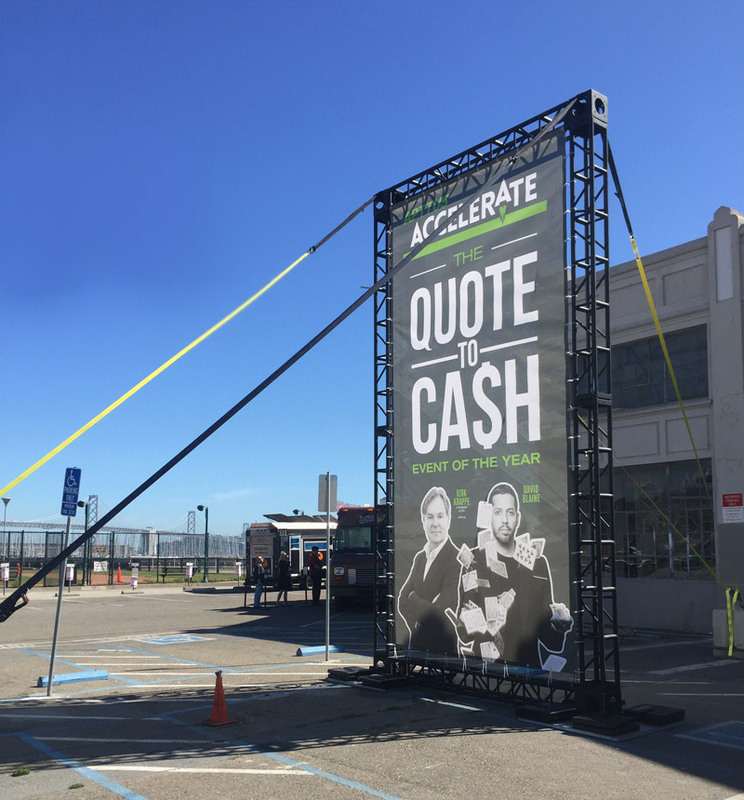 Request a quote with Dynamite Digital by clicking here.